Because one apparently wasn't enough, Suicide Squad 2 is coming, which is old news, but now it appears that it's going to be coming a lot sooner than many had anticipated. The DC Extended Universe is about to get even more extended with a new line of alternate stories that will take place outside of the DCEU, with the announcement of the new Joker origin story and the recent news that The Batman will not take place within the DCEU either. But now with the announcement of the new Joker and Harley Quinn movie set to take place after Suicide Squad 2, it appears that Warner Bros. is attempting to get the sequel underway as fast as possible to usher in the new Joker/Quinn movie. Warner Bros. is obviously confident that they can churn out a successful sequel for Suicide Squad, but at this time, there is no director attached. Mel Gibson was rumored to be in talks for a hot minute, but that does not appear like that will pan out. Guy Ritchie has mentioned that he would be interested in taking the helm, but it's unclear if Warner Bros. would want the director after the disaster that was King Arthur: Legend of the Sword. It seems that Warner Bros. are actively seeking a director while the script is being written. The Hollywood Reporter announced that Jared Leto and Margot Robbie will be reprising their roles for Suicide Squad 2 and for the upcoming untitled Joker and Harley Quinn twisted romance movie. 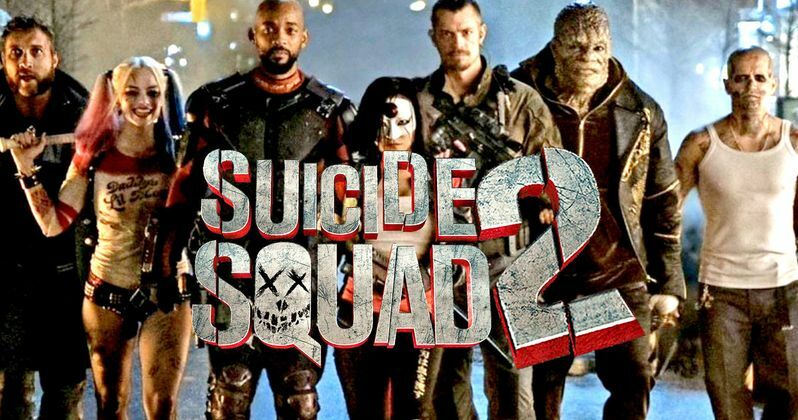 A source close to the studio also revealed that Suicide Squad 2 has been put on the fast track to capitalize on the popularity of the characters. It was also reported that the studio wants filming to begin in 2018, which isn't very far off from now. The amount of news coming from the Warner Bros. DC camp has been astounding, almost like they think of an idea and just announce it 5 minutes later. The new solo Joker movie is set to be produced by Martin Scorsese and directed by Todd Phillips (The Hangover), and now the other Joker will star in a standalone movie with love interest, Harley Quinn, which is reportedly set to have Crazy, Stupid, Love directors Glenn Ficara and John Requa writing. It appears that the studio is not wasting any time to strike while the iron is hot. Whether you want it or not, Suicide Squad 2 is coming and it's coming fast. Though the first movie was panned by critics and many fans for not having a story, it was still a box office success earning $745.6 million dollars worldwide, which was an automatic green light from the studios to make another one. Let's just hope that they have a cohesive story this time around instead of pin the tail on the donkey-style like the first installment. And for those of you hating on Jared Leto as the Clown Prince of Crime, too bad because you're about to see a lot more of him.